How To Find a Job In Hawaii? Navigation:Home/How To Find a Job In Hawaii? 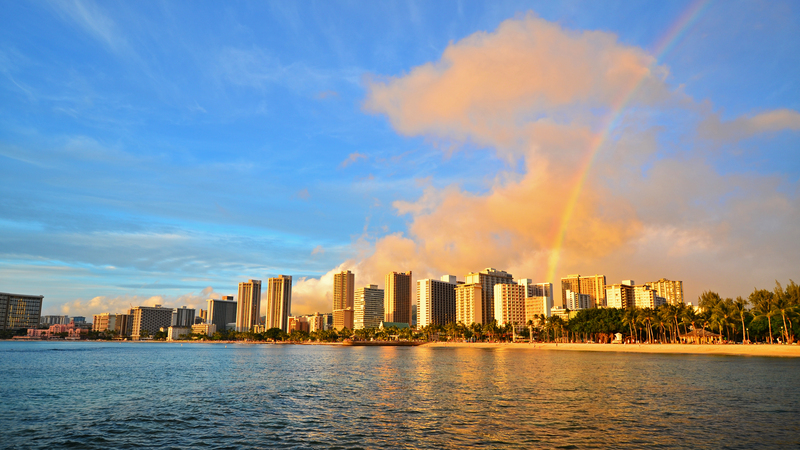 Waikiki Rainbow by Edmund Garman is licensed under CC BY 2.0. Image may have been resized or cropped from original. One of the hottest topics on people’s minds that visit this website is – “How can I find a job in Hawaii?” Most people considering a move to the islands will also have to work at least part-time, and they don’t even know where to start. Start here. This won’t be the perfect scenario for everyone, but, it will give you a starting point. A job-search starting point is what you need! The first thing I have to tell you about finding a job in Hawaii is that nobody gets a job offer and guarantee until you are at least on the island where the job is located. There are very few exceptions. The reason is that the vast majority of job applicants that phone in from outside Hawaii, never make it to Hawaii to interview. Things come up, plans change. Companies don’t even bother. The next thing I need to tell you is that finding a job in Hawaii is not always difficult, but, you will definitely need to apply some effort to find one. Nobody is knocking on doors to see if anybody wants to work cushy jobs for $60,000 a year. The next thing I need to tell you is that a $60,000 a year job is like hitting the jackpot in Hawaii. Yes, the cost of living is very high, but, the salary for jobs in Hawaii doesn’t usually compensate for your high expenses. This means that only people that really want to live in Hawaii put up with it, because they are taking a serious pay-cut in most cases, to live here. Getting a job in the Hawaiian Islands will require doing a lot before you even arrive. Number one, you had better have savings. As a single person trying to move to Hawaii and find employment, I’d say you should have about $10,000 saved. That should last you two, maybe four months if you’re frugal. There is a chance you will not find a job in that time, so you should have an excellent bail-out plan when you realize you’re not going to pull it off and get hired. If it was me, I’d have $10,000 saved that I could spend, and another $5,000 for a contingency plan (Plan B) to help me get back on my feet in some other place, probably where I just moved from. Should you move to Hawaii? Find out and take the quiz. I highly recommend you consider moving to Oahu before trying to branch out to another island. If your chance of finding a decent job in Hawaii on on Oahu in two months is “x” then your chance of finding one on Maui is more like “x/25” and on Kauai – “x/1,400”. If you really would rather live on one of the other less-populated islands, plan on moving to Oahu first and finding a job that pays the bills. From there, you can apply to jobs located on the other islands and have companies consider you. I think it would be extremely difficult in most cases, to just arrive on one of the other islands and find an opening that fits you. For most people I’d say that approach would take 3-12 months of job-hunting. If you have that much time, and savings, and don’t mind the long and probably frustrating wait – then try it. Do let me know how it goes with an email, if you don’t mind. You are all coming from different backgrounds and levels of knowledge about life on the islands. If you have lived here before, you don’t have to do any preliminary study to familiarize yourself with what island life might be all about – you know. If you have just visited Hawaii and never lived here, then you have some learning to do. These four videos cover one of my “Moving to Hawaii” books chapter by chapter. I skim the topics, but there is a lot of great information here. And, did I mention, it’s free? 2. Grab a FREE copy of our eBook. FREE EBook – Moving to Hawaii – The Good, Bad, and Ugly. Click Here to join our newsletter and grab a free copy of this great resource. There is some good information in the videos above that you won’t find in the book, but there is far more information in the book that you shouldn’t miss. Read through residents replies about life on the islands and see if what they’re saying matches your expectations. In particular, look at the food costs per month. It’s a little mind blowing. Keep in mind that most of these respondents have lived and worked on the islands for years, and they know how to save money on food. Initially your food costs per month will be very high until you figure out how to, where to, save money. Go to Wikipedia and read the entire Hawaii entry. You will definitely learn something. I’ve read it a couple of times and I always learn something new. If you are planning on moving to the place, you will be doing yourself a great service to know as much as possible about the Hawaiian Islands. Have a look at what housing costs living in Hawaii. You might be surprised. If you can find anything bigger than a closet for $500 or less, without sharing it with a roommate, you’ll be doing very well on Oahu. So, housing starts here and goes into the stratosphere quickly. Can you afford living in Hawaii based on housing cost alone? Some cannot. Hawaii Craigslist – and don’t miss our series – “3 Ways to Use Craigslist” to help you find jobs. 7. If you want to use a staffing service (recruiter), here are some reviews of services on Oahu at Yelp. Yelp is really an incredibly helpful service. When you do line up an interview at a Hawaii company, you might want to check out their rating on Yelp if they are listed. 8. Put your resume on Craigslist Hawaii. I don’t know how many employers are actually searching through there to find employees, but really, nothing can hurt, and you’ll have plenty of time before you arrive, so do everything possible to ensure you can get a job quickly. 9. Search Twitter. Go to twitter.com/search/ and enter a search like this “job in hawaii” nurse, using the quotations and nurse if you are looking for nursing jobs, construction if you want those types of positions. Twitter is a great search engine because you can find jobs that are available right now. Many companies post openings there and they are not searched all that often in comparison to say, jobs at monster.com. 10. Register with Veterans Administration. If you’re a veteran, having served in the US military, you can register, and should, at the Veterans Administration in downtown Honolulu. They were instrumental in helping me to find a number of jobs to choose from. They are really helpful, and if you can take advantage of this service, by all means, do it. 11. Search Yelp.com. Use yelp to help you find places of employment. Search Honolulu, Hawaii for ‘dentist’ and you get 778 results. You’ll see the rating and some of the services that are offered at the dentist office. When you click the office name (dentist’s name), many entries have the website available. You can go there and see if they have any openings listed. Yelp can work for job searches, I have a friend in Nevada that uses it regularly. Not everyone will have a difficult time of finding a job in Hawaii. You can probably just fly in to HNL airport and nail-down a job that same day, you just have to setup an appointment with someone you see on Craigslist asking for new sales recruits. Many companies need bodies to fill a room of cold-callers, and if it is something you’d consider, you can probably make it happen. These jobs are very easy to come by, and they are probably not ideal for 99% of you, but, some people thrive on it and excel at it. Go to Craigslist Honolulu. 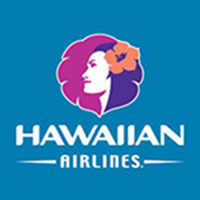 Click the link for “Sales / bus dev.” (http://honolulu.craigslist.org/sls/). Start calling jobs found there that interest you. The funniest line I saw there was, “Can you sell ice to eskimos?” That’s basically what every sales company wants, someone that can sell at that level. If you’ve got the skills and determination, you’ll be able to move to Hawaii with some savings and get setup in one or even two or three of these jobs in no time. As a side-note, I knew some time-share sellers on Maui that made an incredibly prosperous living. If you can sell real estate, and don’t mind the high-pressure world of time-share selling, you might look into it. This is an area of real estate that is often hiring new recruits. It is a high-turnover area, so have a fall-back plan if you decide to give it a shot. Sales is one area where you can be assured to get a job within a few days of arriving on-island. WHAT ARE SOME OTHER THRIVING JOB AREAS IN HAWAII? Tourism! Of course… There are many jobs related to tourism in Hawaii. Even just answering a phone for eight hours a day could bring you $120 a day. Not bad, and a low-stress option if you are one for office work. Those that can speak second languages, especially Japanese, are highly sought after. If you have experience with reservations by phone or in person, you should probably have a fairly easy time of finding a job quickly. Property rentals, real estate sales, property management, marketing for hotels and tourist companies – these jobs are all fairly easy to find on Oahu. The pay is not great, but the office environment can be a bit more relaxed than something similar on the mainland. I worked in a property management group and we had a call-center there. The employees had cozy chairs and desks, and the environment didn’t seem to be at all stressful. Anything to do with health care! I get a lot of emails from people both before and after they’ve made the move to live in Hawaii. Many are asking about whether nurses or dental assistants, dentists, home health care aides, and other jobs in the health arena are able to find jobs easily. The answer is yes, pretty easily. Still you should have your savings and do everything mentioned in this article to ensure you’re able to line up a job as quick as possible once you arrive on Oahu. You’ll have noticed on the job boards and other job links I gave you, that health care specialists and generalists are in high demand in Hawaii. As long as I’ve been visiting and living on the islands (since 1985), I have known this to be true. Hawaii has an ageing population, and more seniors arrive from the mainland USA and around the globe, to retire in what they consider as the ultimate paradise. Construction jobs, drivers, landscaping positions are relatively easy to come by. Though there isn’t much in the way of new construction going on in the islands, there is always renovation. Information Technology – IT. I worked in IT on both Oahu and Maui and I found it quite easy to find jobs in the field. There are many IT jobs available on the islands, usually they are for web site developers and network technicians, but, the whole gamut is present on Oahu. Programmers, FLASH developers, internet marketers, and graphics designers can all find work in the islands without too much trouble. Many work on their own doing odd jobs, or working on their own projects. The internet in Hawaii is every bit as fast as your home network on the mainland. There is no difference between internet you can access in Hawaii vs. mainland. There are plenty of entrepreneurs with their own internet businesses online. If your skill-set is in the IT field you won’t have a problem finding someone that needs what you do. I found 3 IT jobs on Oahu and Maui very quickly, as I needed them. IT is one of those areas you just might be able to land a job from the mainland without being in Hawaii, as some companies allow IT staff to work from home – even in the mainland. I very nearly landed a great job with a company on Oahu, but in the end they required that they see me first and I just couldn’t make it over in time. The following is an interesting note I received from a guy who was hired already – and is not living in Hawaii. He suggests there is a trend toward this because there is a dire need for employees in certain job fields. Have a look! Hi Vern, I read some of your posts with great interest, and one that caught my eye was advice given to job seekers moving to Hawaii that essentially stated it’s very difficult to get a job before moving to Hawaii. I just wanted to add a little color to the subject. There are a handful of IT jobs, and steadily growing in the health and other health related sectors in Hawaii, Kaiser, blue cross/blue shield etc.. who have actively sought out and hired mainland candidates for past few years now, and velocity seems to be increasing. Generally they will first look for local candidates, however there is a shortage of qualified and skilled IT folks which forces employers to seek candidates on the mainland. Recently I was contacted by such an employer to work on Oahu (Honolulu) in an IT field they could not easily find local candidates for. The process generally is that they will hire you before you arrive (assuming you get through the vetting process), however the vetting process is as you can imagine, pretty rigorous given they are looking generally for employee’s who will stay and not bail out, and evidence of that is having some ties already on the islands (family, friends, frequent visits etc.). One of the difficult issues facing Hawaii’s technology sector is that the highly qualified folks won’t bother going to Hawaii given salaries are far below national averages for the same skill on the mainland – in most cases, it would be a 1/3 – 1/2 pay cut to move, then add on top of that the high costs of living. My IT background is fairly broad with skills in project management and architecture given I came from a mostly software development background. The uptick I am seeing, namely for Hawaii is for project and program managers largely working in health care sector with some others in tourism or tourism related industries including travel such as Hawaiian airlines and Alaska air. Again most of these are project management related but I am seeing occasional software dev positions come up here and there. Indeed.com is a good source for many of these, but there are a good percentage not listed and only found on company website pages like Alaska Air or Blue Cross/Blue Shield – job seekers would really need to canvas company websites in addition to job portals like indeed and others to find the needle in the haystack positions. Last piece of wisdom for job seekers is to maybe get to know the software consulting companies that work with Hawaiian based companies such as Redball and others as they regularly fill positions for Hawaii based companies. Having said all that, I agree that it’s still a challenge to land that job in Hawaii if your not already living there, good news is that as demand climbs for I.T. related project mgt skills, so too the willingness of some employers to seek mainland candidates at better pay than what might normally be offered in the past given in demand skills are not readily available in Hawaii. It’s an interesting dilemma facing technology industry and I.T. shops in Hawaii, and one maybe addressed with longer term policies and programs in Hawaii to strengthen education for the existing population for those skills that are going to be in demand. The times they are a changing! Great site by the way and loved reading the articles and posts as I contemplate accepting the offer to move to Oahu (if I accept, likely will be moving in late Feb, early March 2016) and would definitely love to meet up and chat over a beverage or two! Cheers! – K.C. SUMMARY – HOW TO FIND A JOB IN HAWAII? Finding a job in Hawaii can be easy and quick, or difficult and slow as water sweat dripping off your head as you pound the pavement day after day. You have to do everything possible to ensure you get a job quickly because its no fun at all to be spending your hard-earned savings on living expenses. Get your head straight before you get on the plane. Living in Hawaii is the most amazing, awesome place you could live. When you arrive you will be tempted to start enjoying it from Day 1. I caution you to NOT let that happen. Just forget about everything you could be doing, and focus 100% on what you’d better be doing – finding a job. FAST. Put all your energy into finding jobs. You should be on the computer, on the phone, and on your way to employment agencies, interviews, and recruiters offices, not in your grape-huggers or two-piece heading down to the beach to catch some rays. Forget about rays! Forget about eating! Just do everything possible to ensure you are able to get a job. Once you get that job – throw on some too tight swimwear and hit the beach. Think about your friends back in mainland nowheresville, and start planning the next few years of your life. Oh, and don’t forget to drop me a note and let me know how it all went for you. I love to hear success stories from those that made the move to Hawaii! Thank you so much for these tips. I am hoping to move within the next year from Seattle and reading your site has really helped me so far. I look forward to your future posts! Thanks again! Thanks for these tips, really helping! Hoping to read more tips! Aloha. I live all the way in Fiji. Was wondering if there’s any job vaccanciesin Hawaii that are available. I have all my papers ready. Hope to receive a mail on the requirements. I am very interested in visiting Hawaii and learning more about the Hawaiian culture in its entirety these include Hawaii’s sporting, traditional and work cultures. I live in a country that isn’t part of the US thus I understand that I will need to apply for residency to be allowed to work much less become eligible to work. Do you know people that are hiring foreign workers? I don’t know whether being foreign is a bad thing. I mean, if you have the skills to get employment in Hawaii – then you’ll be hired. I mean, assuming the paperwork – the legality of things is in order. It might take a little while longer if you have a strong accent that is difficult to understand. Make sure you have a backup plan, but when you have the money situtation worked out – give it a shot. Aloha Ace! Thank you for creating such an awesome website. Your stories and knowledge are really helping me make a life change at 33 to move from DC to Oahu. I wanted to make the move to the big island for some peace and quiet, but I agree with you that it makes more sense to move to Oahu to get started, then branch out. Hi Luke, Yep, I think that’s the best way for most people, unless you’ve visited the island you want to move to and know exactly what it would be like to live there. Best of luck to you! Aloha! Hey – thanks for the resource. How’s the finance industry in Hawaii? I am a CPA in KC and do pretty well here. But I am interested in Hawaii. I am willing to take a bit of a hit on salary reduction and the increase in COL….what would be the bare minimum I would need to make to live in Hawaii? It sounds like rent averages anywhere from $1200 – $3000 and groceries are very high…so $70K? $80K? Thanks! I don’t have paperback versions of my books. I do have a PDF version if you’d prefer that. Just let me know. I think you can find it at Smashwords.com – just look for Vern Lovic and you’ll find the Moving to Hawaii book there. The Kindle version works on all phones and computers – just google “Kindle software for android phone, macbook air, iphone” whatever you have to read it on. I know ebooks aren’t ‘right’ for everyone, but I do like the idea of not wasting any paper. Let me know how your move goes!